Recorded: Live at Earls Court, London England June 6th. 1977. Comments: Another bootleg from the sound of the video which has found the way to the public true the years. As far as I know, both this concerts was pro-filmed & multi track recorded for the bands archive. So far only a raw video which has been shown on UK Fan club conventions in the late eighties & early nineties. The video has slipped onto the bootleg market, and CDs, vinyl's and DVDs are made in a handful of titles. There are a bit of varies in the sound quality of this video, but the last ones which was shown at these conventions, has ok sound & picture quality. I don't have this bootleg, so I'm not sure of the sound quality, but I guess it's acceptable. Bonus medley on disc 2 comes from June 7th. concert. Roots: Originally from a video with professional recording, in more than less raw sound. Standard live sound source! 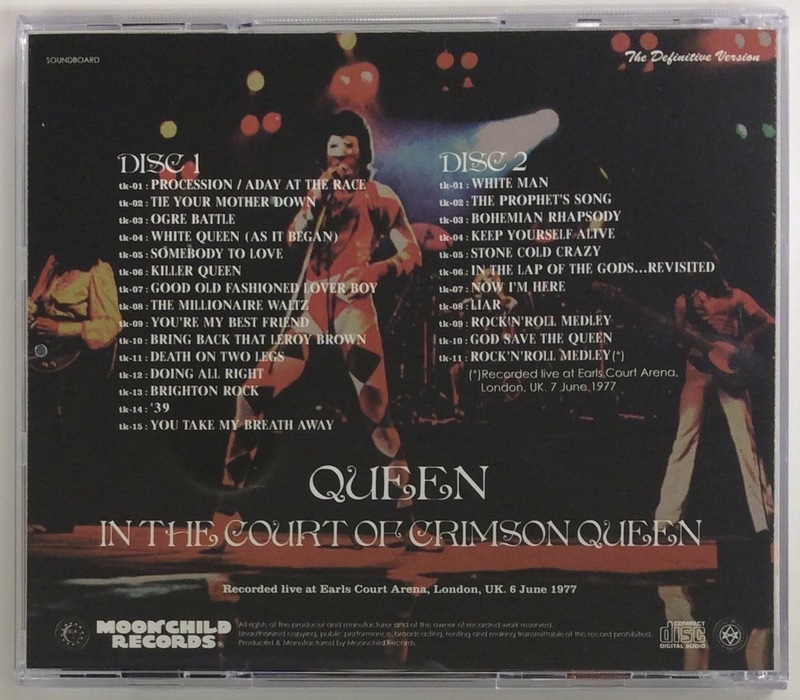 June 6, 1977 London, the recording of the first day of Earls Court with high-quality sound board! 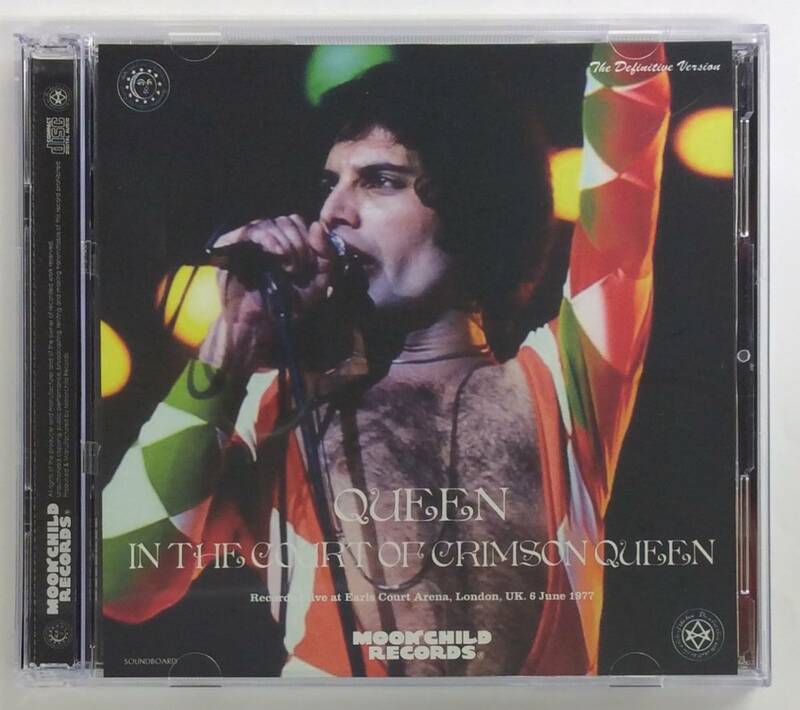 The song is selected in good balance from the previous studio album including “A Day At The Races”, and it can be called one of the introduction to Queen Live Edition. On the bonus track, the rock and roll medley at the same place the next day is also recorded on the high-quality sound board. Dare not complement edit with another source, only the high-quality sound part that leaked is recorded. There is a high price of this live, but it does not change at all. Please buy with confidence. The decision board of Earls Court first day!